As a sobering reminder that drugged driving can be just as dangerous as drunk driving, a driver on the Long Island Expressway recently caused a large, multiple-car crash in which several motorists were injured and one killed. The accident is in line with a recent study which found that drugged driving has surpassed drunk driving as a leading cause of car accident deaths. Read on for more about the accident and the dangers of drugged driving, and contact an experienced New York personal injury lawyer for help if you’ve been hurt in a drug or alcohol-related car crash in Long Island. Both lanes of the LIE were closed in the early afternoon of March 31st for several hours recently following a severe multi-car crash. According to police, around 3:30 pm near Exit 68 on the LIE, the driver of a 2004 Ford pickup truck crashed into a Honda minivan in the westbound lanes. The pickup then veered across the median into eastbound traffic and crashed into a motorcycle and a Toyota minivan. Eight people were injured in the accident. Several were taken to nearby Stony Brook University Hospital, where two required emergency surgery. A woman in the second minivan was later pronounced dead at the Brookhaven Memorial Hospital and Medical Center. The driver of the pickup that caused the accident was taken to a nearby hospital for treatment of non-life-threatening injuries. Police identified the driver of the red pickup truck as the cause of the crash and determined that he was under the influence of drugs during the crash. The man was arrested for Driving While Ability Impaired, along with unlicensed operation of a motor vehicle and possession of a controlled substance. The driver faces potential civil liability from all of those injured and from the family of the deceased victim, on top of the criminal implications of driving while impaired and causing serious injury and death. The LIE accident is symptomatic of a trend identified in a study released in September 2015 and updated in April 2017 by the Governors Highway Safety Association. The study found that, in 2015, 43% of motorists who had died in accidents had drugs in their system, while 37% of motorists who died that year had alcohol in their system. 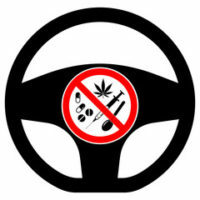 Of those who tested positive, 35% had marijuana in their system, 9% tested positive for amphetamines, and over half tested positive for “other drugs.” Driving while impaired on any drug is illegal in all 50 states, and should an accident occur, the presence of drugs in a driver’s system is strong evidence against them in any civil lawsuit. If you or a loved one has been injured in a drug-related car accident in New York, call the compassionate and effective Long Island personal injury lawyers at Ingber & Provost for a free consultation at 516-627-5809.